A motion has passed in the South African Parliament with 241 votes in favour versus 83 votes against, pushing for land transfer from white to black owners. This motion to change the constitution would allow land expropriation without compensation. 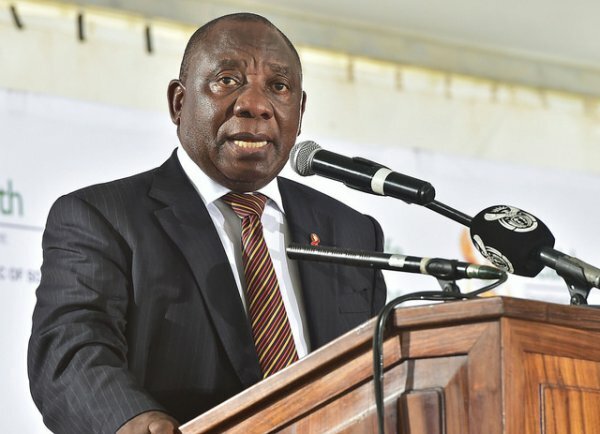 The motion comes into play after newly inaugurated South African President, Cyril Ramaphosa, expressed his desire to accelerate land redistribution. While the country still struggles to overcome the injustices of Apartheid in the course and aftermath of which black people’s property rights had been grossly abused, the newly-passed motion does not seem to be a solution to the problem as it risks fuelling racial tensions, rather than finding an inclusive way to shed the legacy of the past. The motion was passed by 241 votes in favor versus 83 votes against. Parliament then instructed a committee to review the constitution and report back to it by Aug. 30 . In his first state of the nation address two weeks ago, Ramaphosa made a direct appeal to poorer black voters -- the core of the ANC’s electoral support base -- saying he would aim to speed up the transfer of land to black people as a general election looms in 2019.